Chromebooks are not usually aimed at business users, but Acer has unveiled two such premium Chromebooks made out of aluminium. 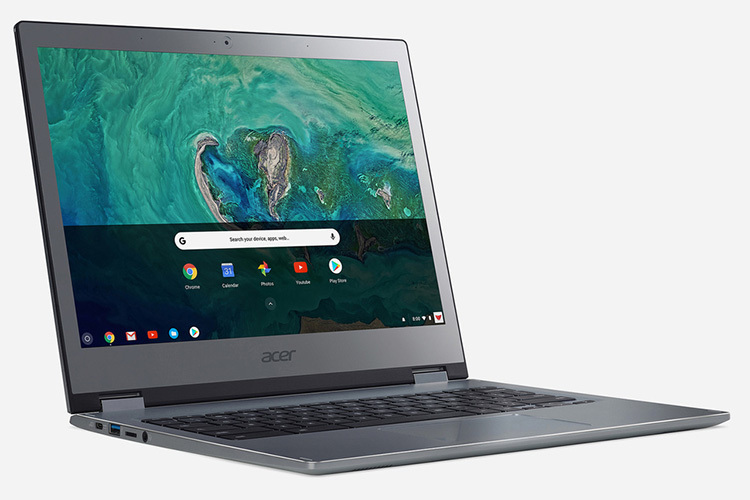 The Acer Chromebook Spin 13 and Acer Chromebook 13 are also unique in that they are powered by 8th-Gen Intel Core processors and come with the convenience of USB-C and support for Android apps. The Acer Chromebook Spin 13 features hinges that can rotate 360 degrees for convenience. It comes with a 13.5-inch touchscreen display with a resolution of 2256×1504 pixels, and a 3:2 aspect ratio like the Pixelbook. The aspect ratio, as per Acer, helps in better readability and saves time while scrolling through web pages or documents. 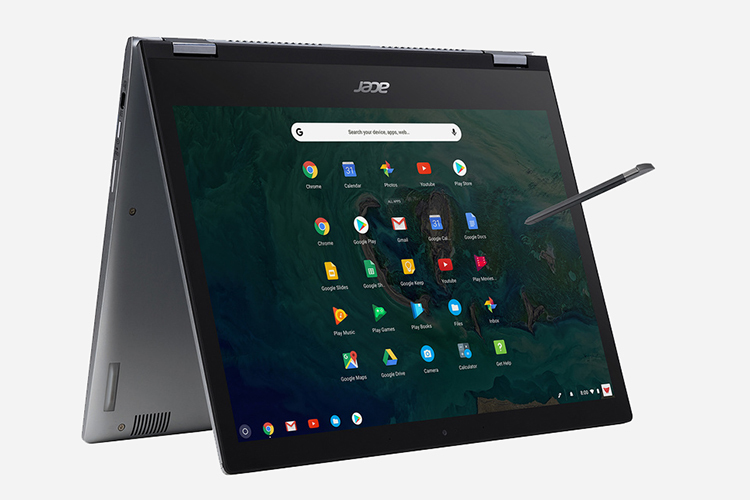 The 2-in-1 Chromebook can be used in tablet, tent, or notebook mode, and comes with a Wacom stylus to help users take notes or doodle on the Chromebook Spin 13. It uses 8th generation Intel Core i5-8250U or Core i3-8130U for much better performance thanks to the quad-core CPU. Acer called it the world’s most powerful Chromebook on stage, and it does indeed outshine the Pixelbook in terms of the CPU. The Acer Chromebook Spin 13 gets 16GB of RAM and up to 128GB eMMC for storage, and a rated battery life of 10 hours. Like most new Chromebooks, the Chromebook Spin 13 comes with support for Android apps which can be accessed via Google Play Store. For connectivity with other devices, the Chromebook Spin 13 also gets 2×2 MIMO Wi-Fi and Bluetooth 4.2. The laptop also gets USB 3.1 Type-C ports which can be used for both – charging as well as data transfer. Acer claims that the USB-C port can be used to connect an external display but there is no support for Thunderbolt 3. Along with the Spin 13, Acer also introduced new Acer Chromebook 13 with a traditional laptop-like design. Apart from the design, the two laptops differ in terms of processor and this one comes with the options between 8th Gen Intel Core i3, Intel Pentium 4415U, and Intel Celeron 8865U. The Chromebook 13 also gets 16GB of RAM but the storage is limited to a maximum of 64GB. Acer is yet to reveal the pricing or availability for the two premium Chromebooks but we expect to be priced in line with the Google Pixelbook.